The foundation stone for Apidel was laid in 2012, with the basic principles of infinity, long term vision and continuous progress in achieving its vision and mission of being the preferred staffing partner for all its client requirements. Apidel is progressively spreading its wings to cater various market segments & LOBs like Information Technology, Healthcare, Pharmaceutical, Analytics, Banking and Financial Services. Rhetorically, with over 3000+ employees placed in the United States and India, we are known for providing the best staffing experience and taking great care of our clients and employees. An E-verified Employer committed to Equal Employment Opportunity, Apidel is a team of technology and recruiters with expertise in various key industry domains such as IT, Healthcare, Pharmaceutical, Engineering, Analytics and BFSI. “The proof of the pudding is in the eating.” We have time and again proven this phrase to be apt with our consistent ability to exceed client and customer expectations by providing unmatched staffing and recruitment support. We provide unmatched staffing and recruiting solutions to clients and customers across India, with a process that is designed to efficiently manage daily operations. Our dedicated support team works to proactively recruit experienced implementation professionals. Similarly we are able to effectively drive results and deliver the optimum return on investment. We work alongside our clients and customers to make a real difference for the companies we partner with. Over the years, our client retention rate has been averaged at 98%. A Bachelor of Business Administration Management, he has an experience that spans over nine years covering various industry sectors like Information Technology Staffing, Data Entry Operations and Data Analytics. 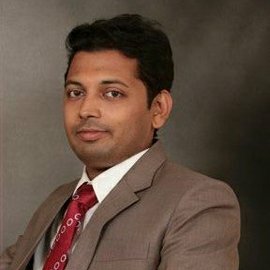 Like a true warrior, Shreyas displays a focus on vital aspects like research and analysis of market scenarios. He has proven his recruiting and managing skills time and again, which in turn have ensured that client deadlines are met as required. An experienced Strategic Account Manager with a demonstrated history of working in IT and Services industry. 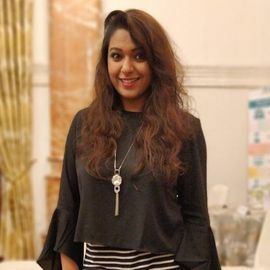 Heena is a highly motivated, outgoing and versatile professional, with over 4 years of diversified work experience in end-to-end Recruitment and Account Management. Her aptitude in managing IT, Analytics, Automotive and BFSI segments are noteworthy and have been appreciated time and again by clients. The corporate world is always considered as a different ballgame for any newbie. 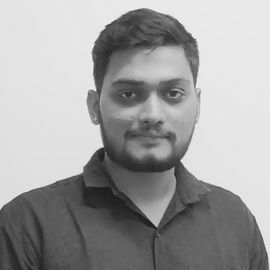 Armed with a Bachelor’s Degree in Computer Application, Avnish treaded into the vast ocean called Staffing and Recruitment. 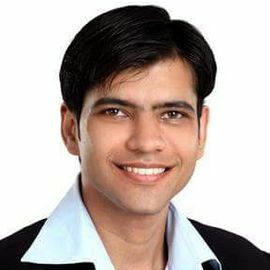 Over time, he has exhibited his capabilities as a skilled Technical Recruiter, supporting niche assortments such as Java, .Net, BluePrism, DB2, Oracle, etc. Avnish, possesses the tools to successfully handle the staffing needs for clients; be it Contractual, Contract to Hire ‘or’ Permanent demands, across industries: Healthcare, Banking, Insurance, IT, Finance, Automobile, etc. His unbroken focus and staunchness towards the tasks at hand, make him a strong and steadfast part of Apidel.